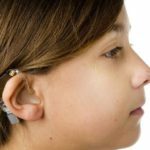 This Web page serves to explain, describe and provide information about a number of issues concerning Ear, Nose, Throat, Allergy and Audiology but is meant to be a general guideline. Any information provided on this web site should not be considered medical advice or a substitute for a consultation with a physician or audiologist. Continuous changes in technology and medical practice affect the decisions made regarding diagnoses and intervention. While we are attempting to maintain an up-to-date and accurate web site, information on various topics may be incomplete and errors may occur. Therefore, if you have a medical problem, contact your local physician for diagnosis and treatment. Neither Arkansas Center for Ear, Nose, Throat and Allergy nor any other contributors shall have any liability for the content of this web site, including the possibility of errors or omissions.